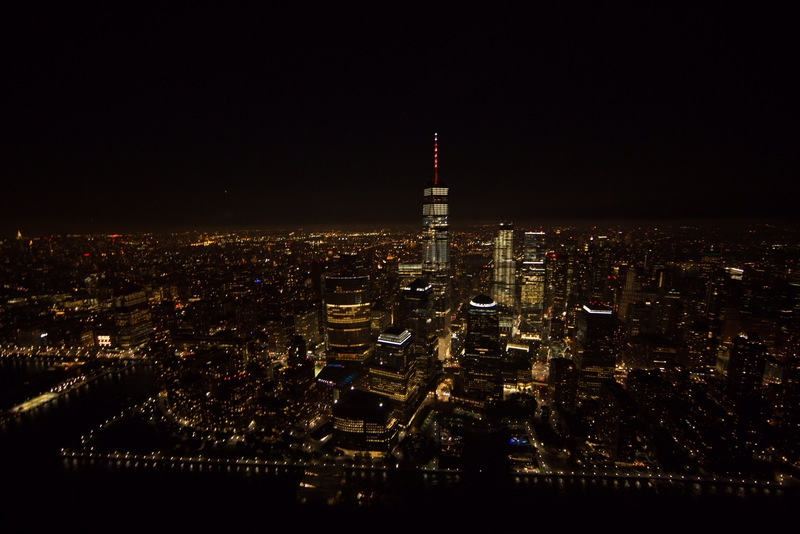 “The view of the city was just so beautiful, that it made me forget everything I was afraid of just minutes before,” said Tobias Nikl, FSSA film student. With his feet dangling in the air, his heart racing and the wind restraining his mobility, he was just one buckle away from falling thousands of feet onto the busy streets of New York City. On September 16th, 2017, Frank Sinatra School of the Arts (FSSA) film student Tobias Nikl faced his fear of heights while capturing aerial shots of the city in a door-less helicopter. He was airborne, sitting on the floor of a helicopter, with a camera hooked onto his harness. Tobias was given the opportunity to take aerial shots by the John Lennon Educational Tour Bus team, who reached out to FSSA film teacher, Mr. Gubin. The team was working on a project about peace and what it means to people. They were in need of two students to take aerial shots of the city, to show how peaceful it can be, no matter how busy or populated. When Toboias was one of the two people chosen for this opportunity, he was completely ecstatic, but the thought of being so high over the city unsettled him. As the days went on, he began to feel more anxious about something going wrong with the helicopter and even contemplated giving up the opportunity at the last minute. He admitted to spending the entire night before, researching what could go wrong and how to act in the case that the helicopter went down. The morning of September 16th was the hardest day for Tobias. New fears started to manifest, such as his camera falling out of the helicopter, his pictures and videos not coming out well, and not knowing how to use the camera he was assigned. “When I woke up that morning my brain was thinking of anything and everything that would keep me from going up in the air. I tried to relax by telling myself I was overthinking it and everything would be okay, but my heart didn’t stop pounding until it was actually happening,” he said. 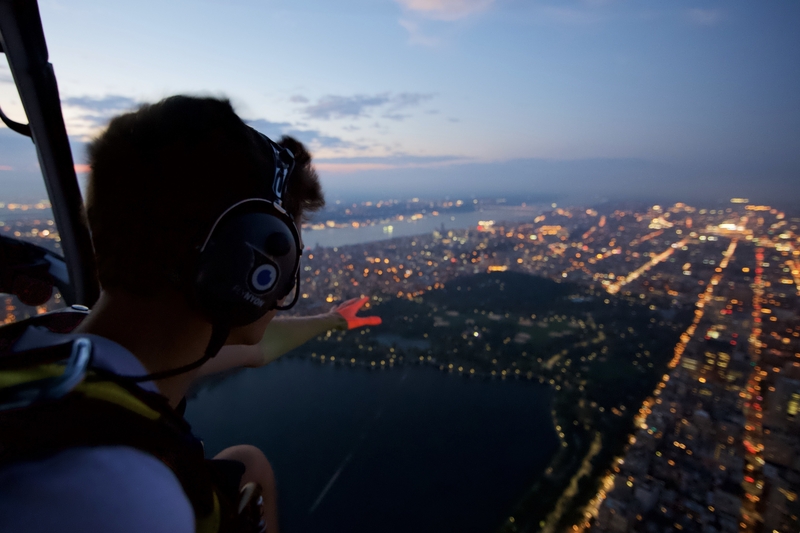 When Tobias arrived at FlyNYON in New Jersey, along with a classmate and two adults working with the John Lennon Educational Tour Bus, he knew there was no turning back. He was shown a brief safety instruction video and then moved to a room where the harnesses were put on. At that moment, Tobias described himself as feeling vulnerable. “As soon as one of the workers started to lift up my legs and place the harness on me, I felt vulnerable because I knew that no matter how afraid I was, or how bad I wanted to give up on this whole thing, I couldn’t. It was too late at that point,” Tobias said. and dangling his legs completely out in the open. comfortable with himself. He took a glance away from the camera and outside, and became completely awestruck. Tobias’ shot from above NYC. Today, Tobias is incredibly thankful for this opportunity and wouldn’t take it back for anything. His outlook on New York City has been revolutionized into something anxiously beautiful, but what he overcame in himself, is even stronger. “Being fearless is not what makes me brave, it’s about whether or not I am willing to conquer the fear,” he adds. That being said, Tobias is still afraid of heights.